In 1983 the British government created Chevening as an international award scheme aimed at developing what it calls "global leaders." It is funded and directed by the United Kingdom's Foreign and Commonwealth Office (FCO) and includes both scholarships and fellowships for individuals selected by British embassies around the world. In other, simpler and more frank terms, Chevening is a means of producing agents of British influence through the indoctrination of foreigners involved in their respective nation's media, politics, policy making and analysis. And while Chevening has only been around since 1983, the tool of imperialism it represents is quite ancient. Roman historian Tacitus (c. AD 56 – after 117) would adeptly describe the systematic manner in which Rome pacified foreign peoples and the manner in which it would extend its sociocultural and institutional influence over conquered lands. His object was to accustom them to a life of peace and quiet by the provision of amenities. He therefore gave official assistance to the building of temples, public squares and good houses. He educated the sons of the chiefs in the liberal arts, and expressed a preference for British ability as compared to the trained skills of the Gauls. The result was that instead of loathing the Latin language they became eager to speak it effectively. In the same way, our national dress came into favour and the toga was everywhere to be seen. And so the population was gradually led into the demoralizing temptation of arcades, baths and sumptuous banquets. The unsuspecting Britons spoke of such novelties as 'civilization', when in fact they were only a feature of their enslavement. 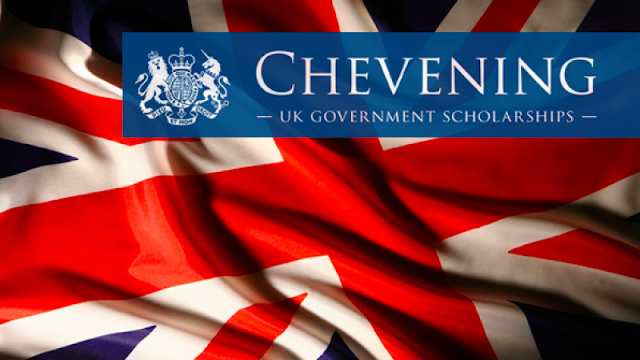 Centuries later, Chevening alumni boast openly about their scholarships and fellowships. It is included in their bios on social media and prominently featured in biographies and résumés that accompany editorials and job applications. They believe it to be a high rung upon the ladder of civilisation that they have reached, when in reality, it is nothing more than a modern-day feature of indoctrination, manipulation and exploitation. Chevening and programmes like it have built cadres for British, European and American influence around the world. Many alumni of these programmes head US-European funded fronts posing as nongovernmental organisations (NGOs). They also lead or support opposition movements and political parties aimed at commandeering the political and media machinery of foreign nations across the developing world. In Thailand, a particularly acute example of this is Khoasod English commentator Pravit Rojanaphruk, who eagerly boasts of his various foreign fellowships and scholarships, including his status as a 2001-2002 Chevening scholar. While he claims to be a journalist, his work consists entirely of political commentary and bias couched behind activism coupled with overtly pro-American and European editorials expounding notions of Western democracy and human rights. 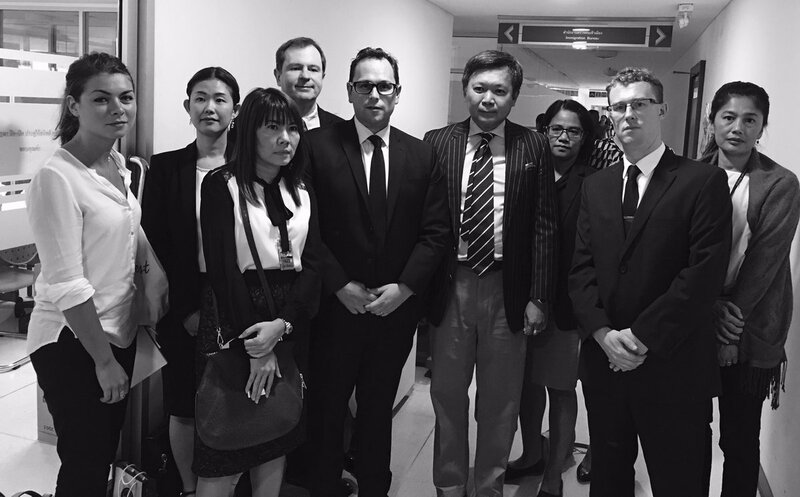 Image: Pravit Rojanaphruk (right of centre with striped tie) stands shoulder-to-shoulder with foreign embassy staff as he faces sedition charges in Bangkok, Thailand. 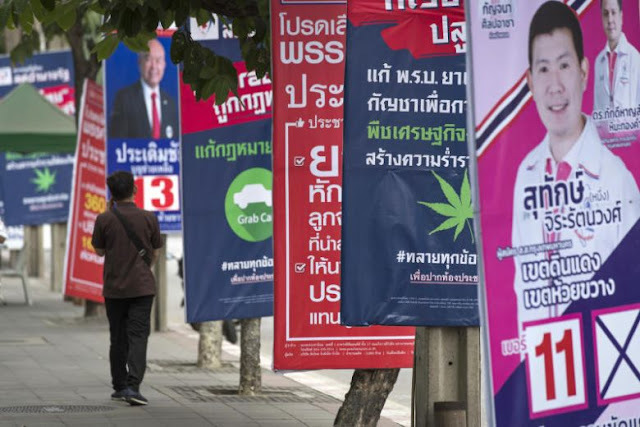 He regularly agitates against the current Thai government which ousted the US-European backed political party of Thaksin Shinawatra in 2014. When his agitation attracts legal prosecution, he is regularly accompanied by staff from the British and American embassies as well as representatives from the European Union and Canadian diplomatic missions in Thailand. It is loyal and persistent agents of British influence like Pravit Rojanaphruk that Chevening was created to produce. Of course, those who have gone through Chevening's indoctrination process are not necessarily confined for life by this modern-day feature of "enslavement." The Roman Empire brought many young people to Rome for their indoctrination. While the majority of them would certainly and dutifully pursue Roman cultural colonisation upon returning home, some simply used the opportunity to understand the inner workings of this foreign oppressor on a deeper level. Their intimate knowledge of the Roman Empire gave rise to some of the most disruptive and persistent rebellions Rome faced and would eventually contribute to Rome's ultimate collapse. While Chevening and programmes like it including Reuters fellowships and the US State Department's Young Southeast Asian Leaders Initiative (YSEALI) are likely to turn out agents of Western influence wielded against the developing world, it may also help sow the seeds to the collapse of the very special interests behind these invasive and manipulative programmes. For people across the developing world, such "opportunities" seem like a ladder to heaven and strong cognitive dissonance insulates them from ever seeing the truth about these programmes truly represent. A better informed society in general, however, may help insure those targeted by this form of modern-day imperialism stand a better chance of using it rather than being used by it.